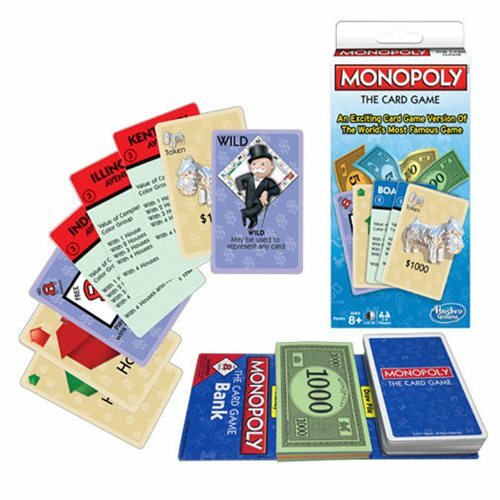 Take the fun of Monopoly the board game + the familiar gameplay of Rummy and you've got Monopoly The Card Game! Players draw and trade cards to try and build the most valuable hand of Monopoly cards before any other player can do so. Property cards, Token cards, House and Hotel cards, Free Parking, Go and Wild (Mr. Monopoly) cards will add to your payoff. 2-4 Players. Ages 8 and up.